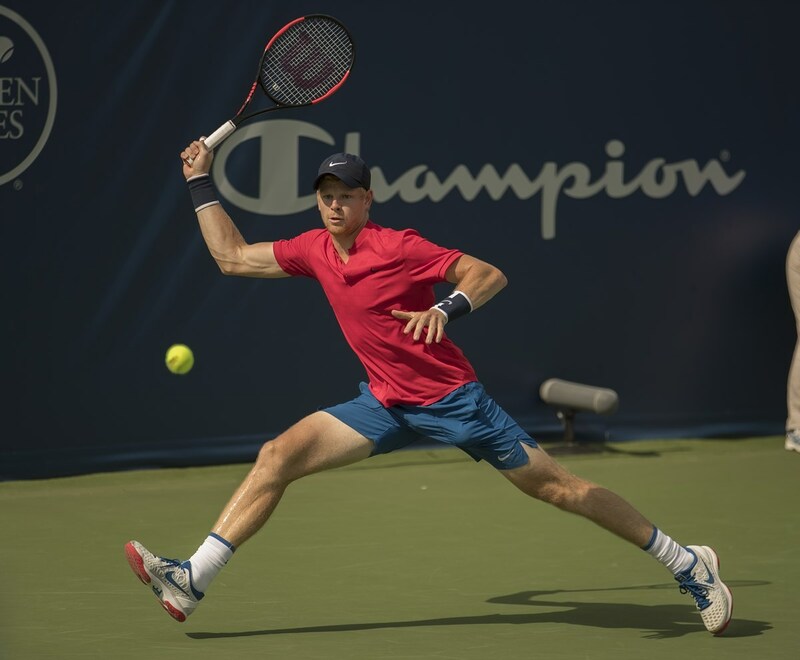 WINSTON-SALEM, N.C. (August 8, 2018) –British number 1, and ATP World Tour number 16 Kyle Edmundhas received one of four wildcards into the main draw of the Winston-Salem Open. This will be Edmund’s third consecutive appearance at the event. Edmund lost in the second round in 2016 to Viktor Troicki (3-6, 5-7). Last year the Brit played his way through the qualifying rounds and into the semi-finals where he fell to tournament runner-up Damir Dzuhmur in a thrilling three set match (6-1, 5-7, 3-6). “We are excited to have Kyle return. He’s picked up a lot of fans through this tournament, and we enjoy hosting him. I expect he’ll have another great year in Winston-Salem,” says Tournament Director Bill Oakes. Another familiar name returns to the hard courts of the Twin Cities; former World Number 1, Lleyton Hewitt. Hewitt will play in the main draw doubles event with fellow Australian John Peers. Hewitt played in the singles draw at the 2011 Winston-Salem Open, but has never entered in the doubles event. Hewitt holds 30 career singles, including two Grand Slams (2001 US Open, 2002 Wimbledon) and three career doubles titles. He remains the youngest man to ever be ranked number one in the world at 20 years old. “It will be a treat to have Lleyton on the courts again. His passion for and dedication to the sport as well as for mentoring younger players speaks to his great character, and we are lucky to see him in action again,” Oakes adds. Other top 25 ATP singles players slated to compete besides Edmund: David Goffin (11), Pablo Carreno Busta (13), Marco Cecchinato (21), Hyeon Chung (23), and Damir Dzumhur (24). American favorites Sam Querrey (32), Steve Johnson (33), Ryan Harrison (57), andJared Donaldson (62) will also return to the tournament. The Winston-Salem Open is the final tournament in the summer-long US Open Series. This ATP event began in 2011, and in 2017 the tournament reached a global audience of more than 3.5 million in more than 100 countries. It won ATP Tournament of the Year in 2016, as voted on by the players. The Wake Forest Tennis Complex will host the tournament August 18-25.